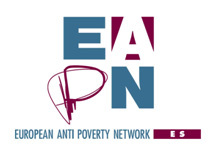 On 19 October, EAPN Spain presented to the Senate a report entitled “the impact of the crisis on poverty and social exclusion: diagnosis and actions”, elaborated with all members of EAPN Spain – regional and state entities members. This document had been requested by the Special Commission of Studies in the Senate, concerning the new forms of social exclusion as a consequence to the increase of unemployment. The report highlights the lack of social protection in Spain. Read more here (in Spanish only). Read also EAPN Spain’s declaration on 17 October World Day of Eradication of Poverty.